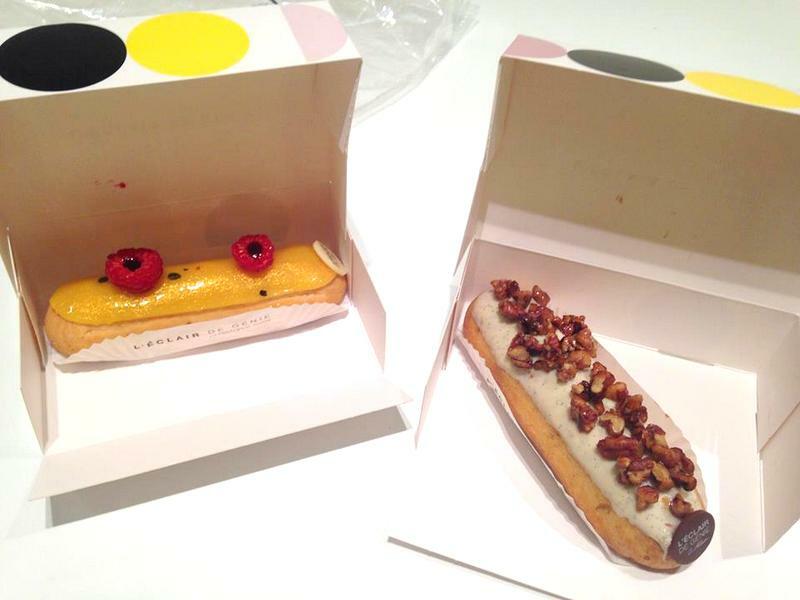 With Fashion Week approaching, some of the Rue des Rogues team decided to go éclair tasting, yes, completely normal! 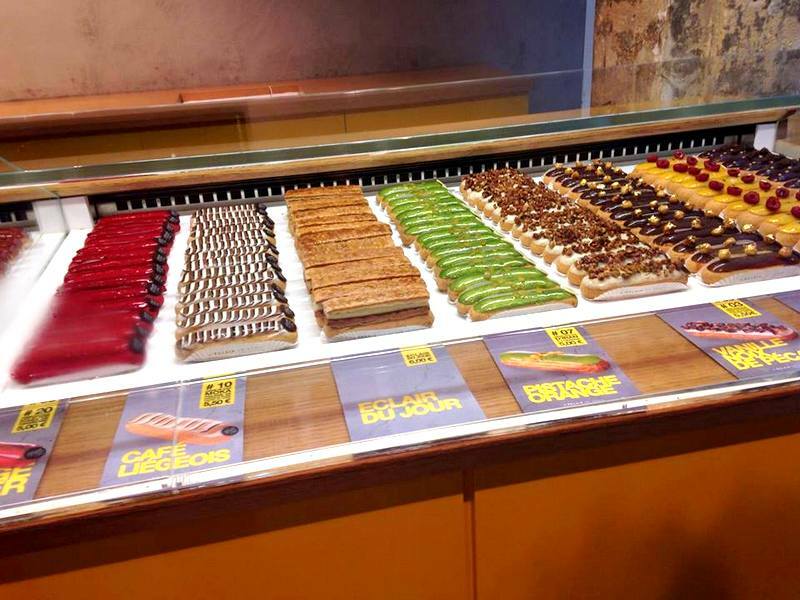 Some people may be watching what they eat around this time but no, not us – we began a hunt for the best éclair in Paris! 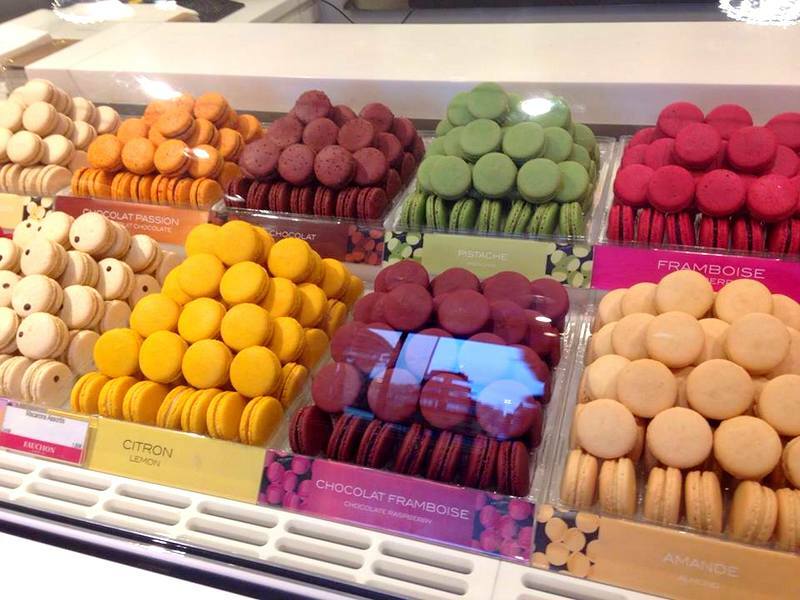 When you first come to Paris, it’s nearly a right of passage to familiarize yourself with macaroons. It’s a must to taste some Ladurée (the favorite of Blair Waldorf) or Pierre Hermé, supposedly the best in all of Paris. Macaroons have been somewhat of an obsession for me. However, lately it seems the french éclair is back in fashion (and I am hooked) and not just in plain jane chocolate, cafe and pistachio! Oh no, now you can find so many strange and tantalizing combinations that will make your mouth water. After tasting the local bakeries we decided to branch out and go tasting the crème de la crème when it come to éclairs. 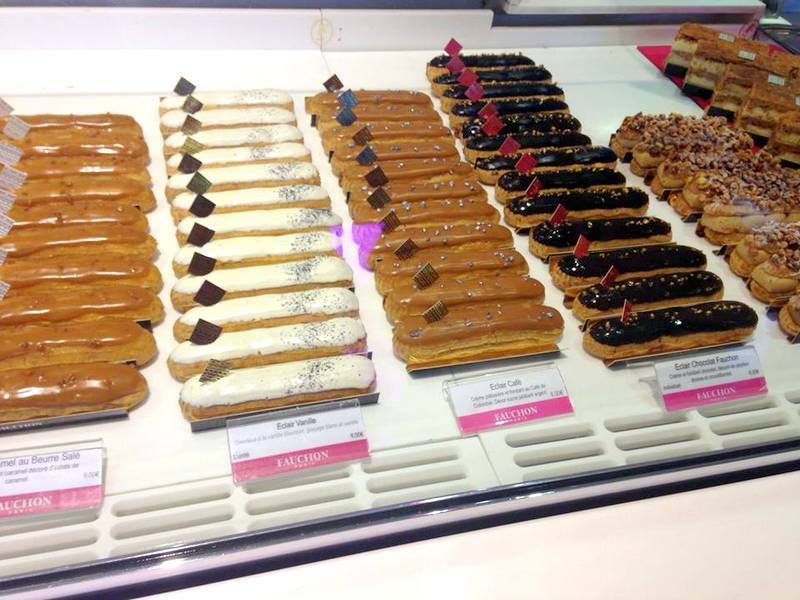 There is a choice of two – Fauchon (just at metro Madeline) and L’éclair de Génie (at metro Saint Paul). These two pâtisseries do not disappoint… the texture, the soft, creamy filling and the light yet delicious icing makes it hard to believe you’re eating something solid. Honestly, for me it was like eating ice-cream or a sorbet. 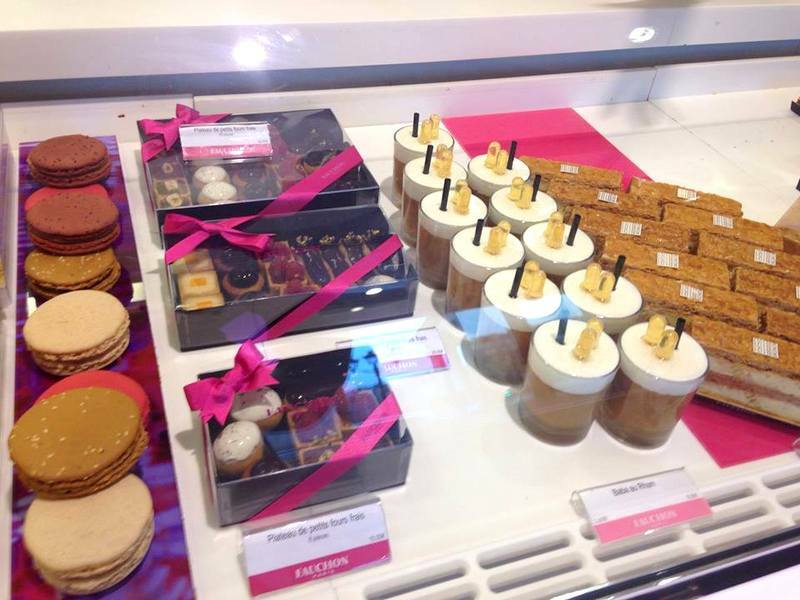 L’éclair de Génie was created by Christophe Adam, former heard pastry chef of Fauchon and his creation are splendous. Crazy, unusual combination and flavours which works oh so well together. 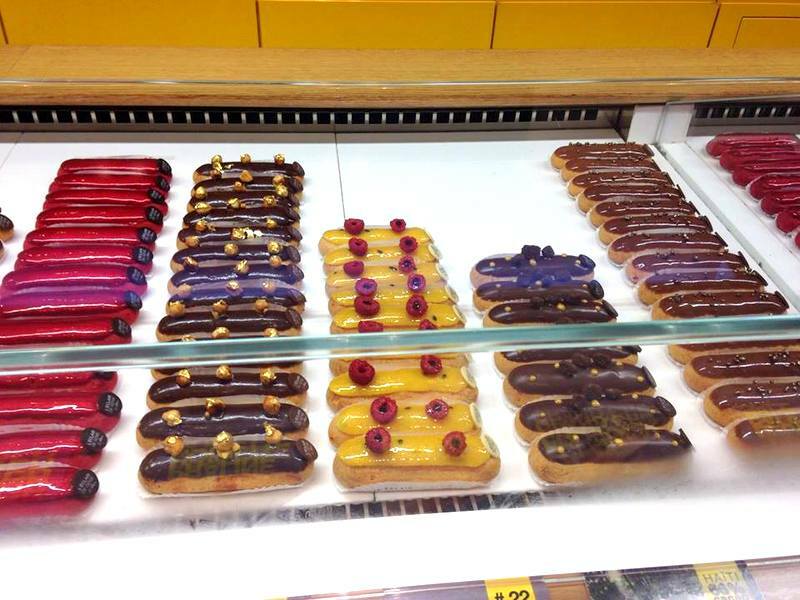 L’éclair de Génie was definitely my favourite. We took a mango and raspberry éclair and a vanilla and pecan éclair.. both were the most amazing eating experience I have ever encountered. If you are ever in Paris, please check out both places and let us know what you think! !